In this book Almaas brings together concepts and experiences drawn from contemporary object relations theory, Freudian-based ego psychology, case studies from his own spiritual practice, and teaching from the highest levels of Buddhist and other Eastern practices. He challenges us to look not only at the personality and the content of the mind, but also at the underlying nature of the mind itself. "In a remarkable and direct way, Almaas introduces us to the space or ground of Mind within which mental structures operate. 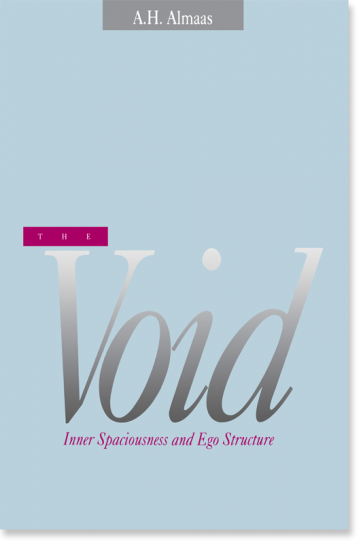 He shows how inner spaciousness can be experienced in somatic, psychological and spiritual ways, details some of the many levels of inner space and, more importantly, illustrates how these experiences of space can lead to fundamental healing and integration of our being... The deep spiritual and psychological knowledge which Almaas brings to this work places him in the forefront of a new movement in psychologdy which draws on the practices and understanding of ancient and Eastern traditions and the best contemporary and Western psychology as well."